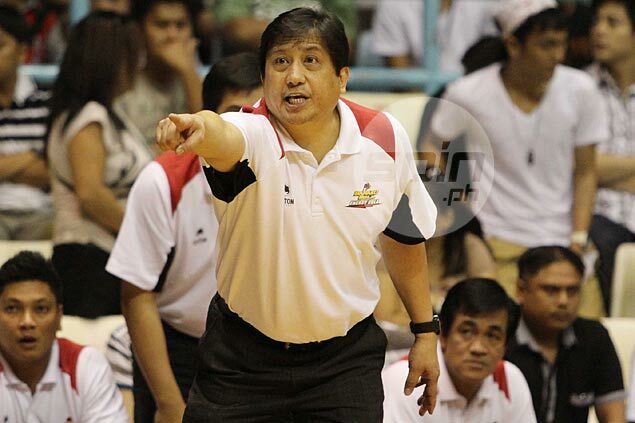 Bong Ramos out, Siot Tanquingcen in as Barako Bull coach in PBA? BONG Ramos has been relieved as Barako Bull coach in the Philippine Basketball Association at the end of a Commissioner's Cup campaign that saw the Energy fall short of a place in the playoffs, sources said. The George Chua-owned ballclub has yet to make a formal announcement but persons with knowledge of the situation said Ramos has already been informed of management's decision. The same sources said Siot Tanquingcen, the former Ginebra and San Miguel coach, is set to be elevated to the coaching position after serving as team manager the past campaign. Under Ramos, Barako Bull played above expectations and made the quarterfinals of the last Philippine Cup, where it finished with a 5-9 record but was ousted in two games by Petron in a best-of-three series. Barako Bull also impressed with import Joshua Dollard in the Commissioner's Cup, but two late losses to GlobalPort and Meralco - where the Energy blew a 22-point lead - knocked them out of contention for the playoffs. The Energy finished the midseason conference in ninth place with a 2-7 mark. Barako Bull officials were unavailable for comment at posting time.